Image 1. 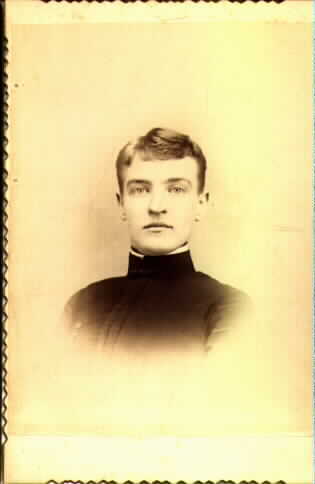 Cabinet Card of young man in uniform. Marked A.W. Hunt, Van Riper's Block, Passaic, N.J. 41/4" W x 61/2" H. Photograph is in very good shape . Image 1. 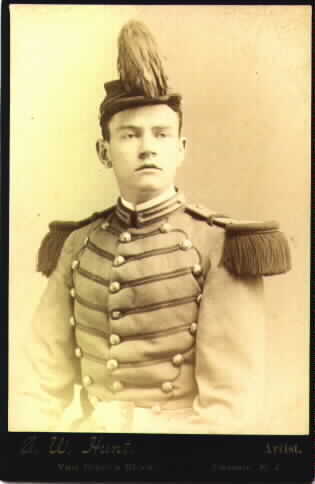 Cabinet Card of young man in uniform with high collar. Marked Stoutburg Photo, 286 Main St. Pokeepsie, N.Y. on back. 41/4" W x 61/2" H. Photograph is in very good shape . Image 1. 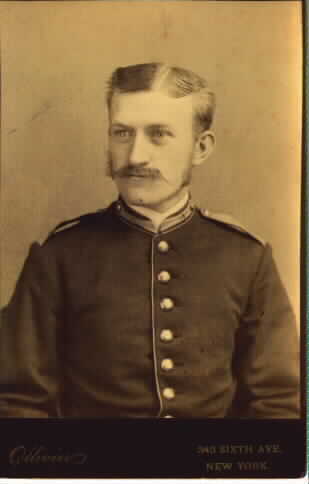 Cabinet Card of man in uniform with high collar. Marked Ollivier, 343 Sixth Ave., New York. 41/4" W x 61/2" H. Photograph is in good shape . Image 1. 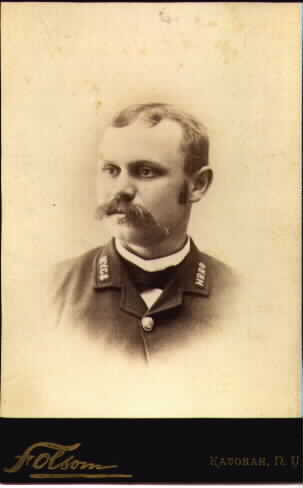 Cabinet Card of man in rail/railroad uniform. Letters on collar are NYC and HRRR. Marked Folsom, Katonah, N.Y. 41/4" W x 61/2" H. Photograph is in good shape . Image 1. 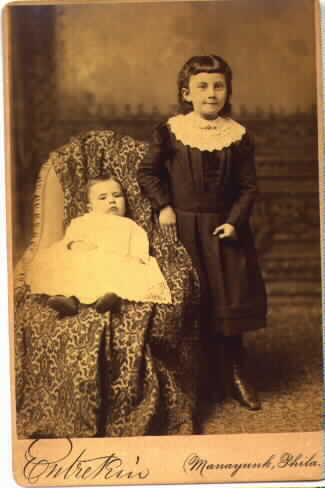 Cabinet Card of two children. Marked Emtretein, Manayunk, Phila. 41/4" W x 61/2" H. Photograph is in good shape . Image 1. 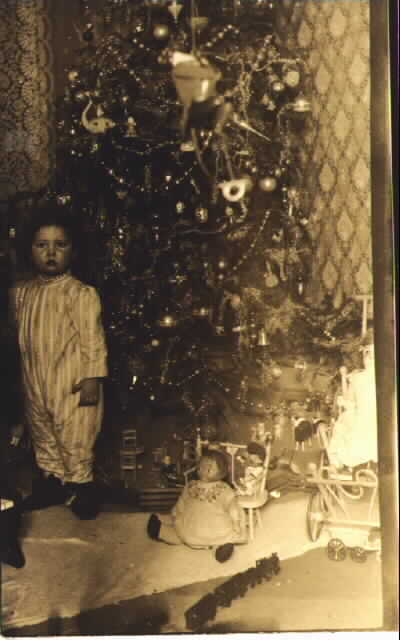 Photo Post Card of Christmas Tree and little girl with presents. Shows a number of early toys. Unused. 31/2" W x 51/2" H. Photograph is in good shape . Image 1. 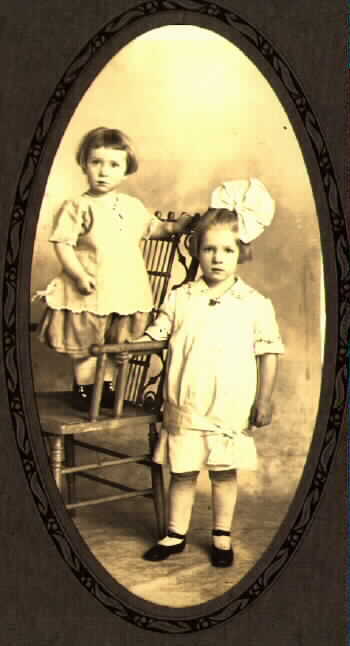 Two photographs of twin boys Tom and Will Wileman. Cabinet Card marked Geo. 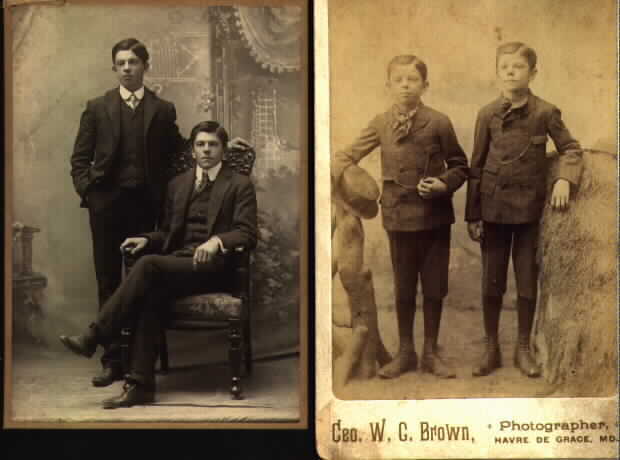 W. G. Brown, Photographer, Havre De Grace, MD. Larger image marked Sunbeam Art Gallery, 236-238 South Main St., Los Angles, Cal. Some cardboard damage to larger photo-image undamaged. Image 1. 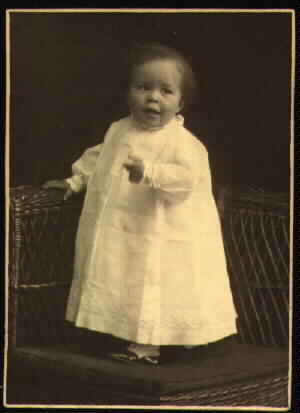 Cabinet Card of Harry Wilemen brother to twin boys Tom and Will Wileman. Cabinet Card marked Emtretein, Manayunk, Phila.. Photograph is in good shape . Image 1. Two Cabinet Card of Mary Wagner Minchin. Step sister to Charles A. Wagner, Sr. taken in 1885. 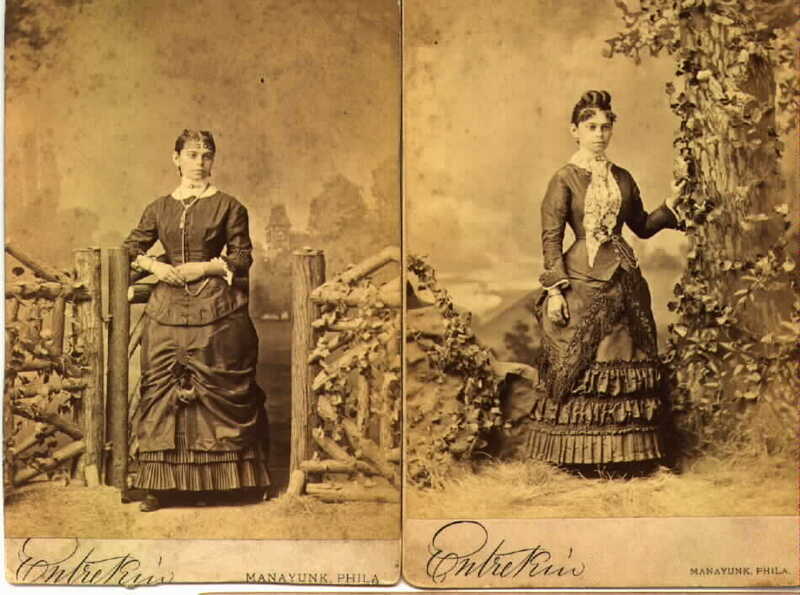 Both images show some of the finest womens Victorian dresses. Both Cabinet Card marked Emtretein, 4384 Main St., Manayunk, Phila. Photograph is in good shape. Image 1. 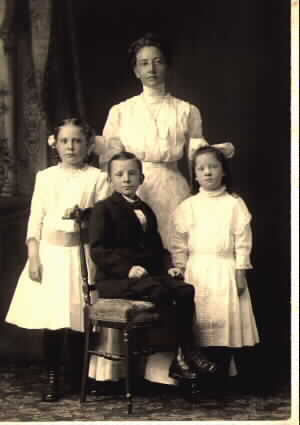 Cabinet Card of woman with three children. Cabinet Card marked Emtretein Studio, Main & Evering St., Manayunk, Phila. Photograph is in good shape. Image 1. 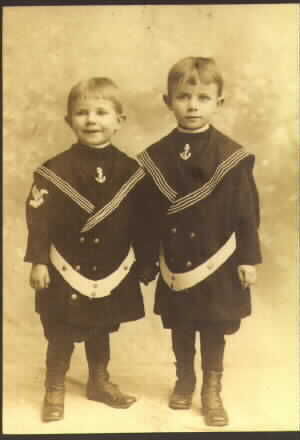 Photograph of two very boung boys in sailor outfits mounted on carboard. Cardboard measure 6 inches wide by 8 inches high. Marked Lipp Studio, 1228 Market St., 60N 88th St., Phila. Photograph is in good shape. Image 1. 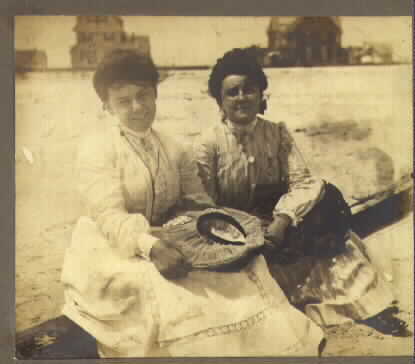 Photograph of two women Rose Eisemann and Louisa Terhune at Rockaway Beach, Long Island, N.Y. Aug 1905. Photograph is in good shape. Image 1. 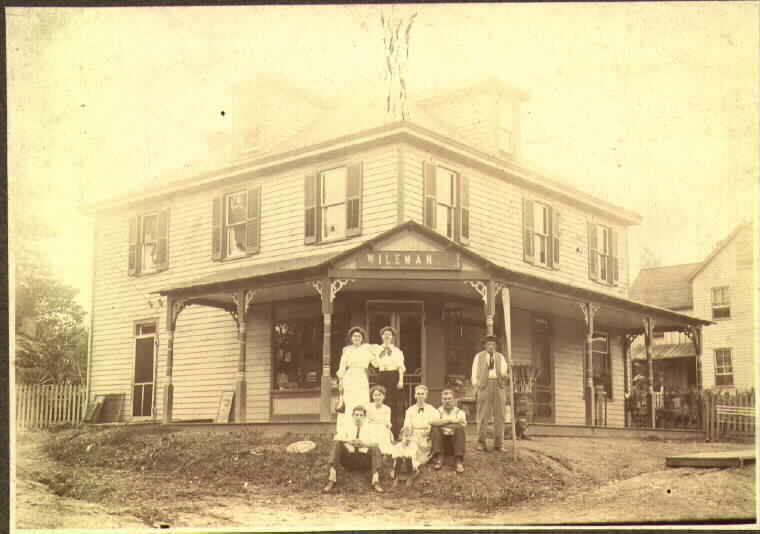 Photograph of Wileman building with "Uncle Joe's store, Havre De Grace" on back, mounted on cardboard. Cardboard damaged in top right corner. Image size is 63/4 inches wide by 43/4 inches high. Photograph is in good shape. Image 1. 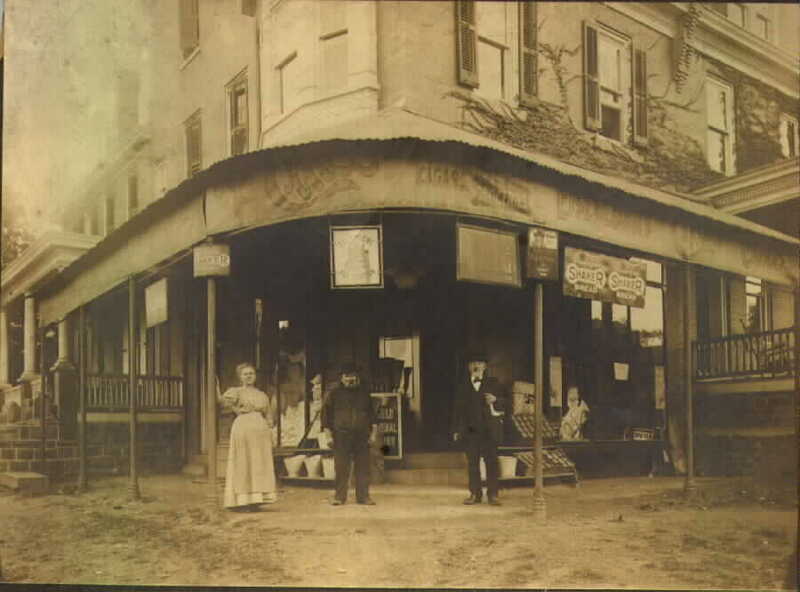 Photograph of early groceries store with telephone pay station sign hanging on building, mounted on cardboard. 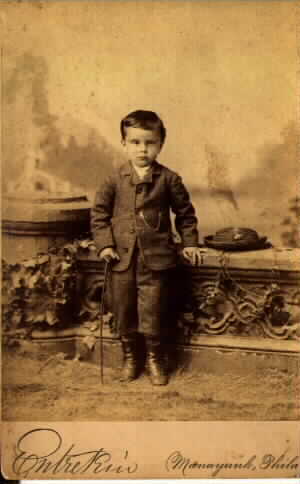 Cardboard damaged in five locations, however photograph is in good shape. Marked V. Ross, 1732 3rd Ave. N.Y. Image size is 83/16 inches wide by 6 inches high. Image 1. 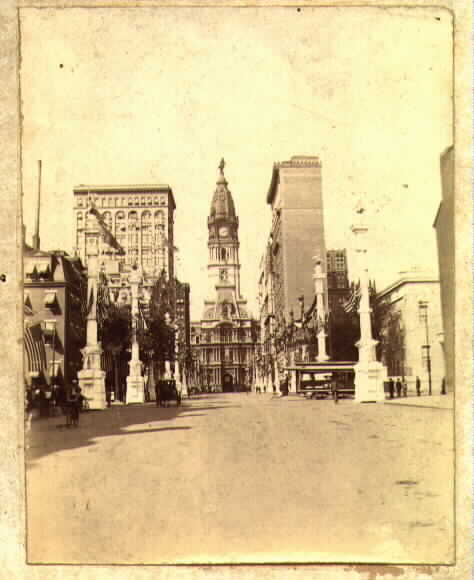 Historical photograph on cardboard of Market St. looking west Philadelphia, Pennsylvania from 1899 during the G.A.R. Encampment. Image 27/8 inches wide by 33/4 inches high. Image 1. 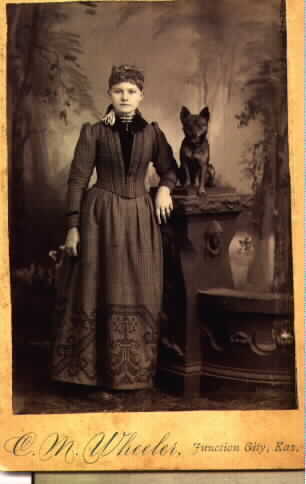 Cabinet Card of woman with dog. Marked C. M. Wheeler, Function City, Kas. Image 1. 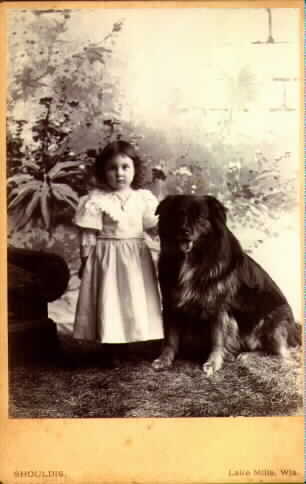 Cabinet Card of little girl with dog. Marked Shouldis, Lake Mills, Wis. Image 1. 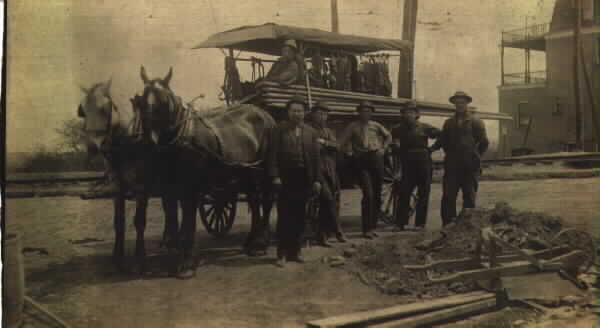 Large photograph of horse drawn wagon with work crew on cardboard. Image is 8 inches wide by 51/2 inches high. Image 1. Photo post card of two girls in folder for framing. Post card mailed to Mr. James Skinner from granddaughters Kathlyn C. and Dorothy H. Mearse, July 1917. Image 1. 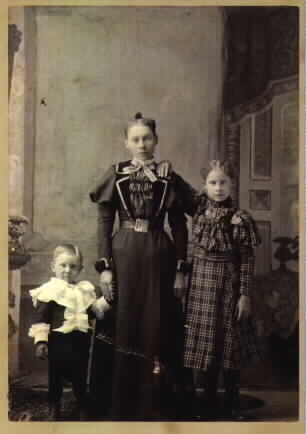 Cabinet card of a mother with her two children. Marked Burdid's Studio, Milton, Wis. Image 1. 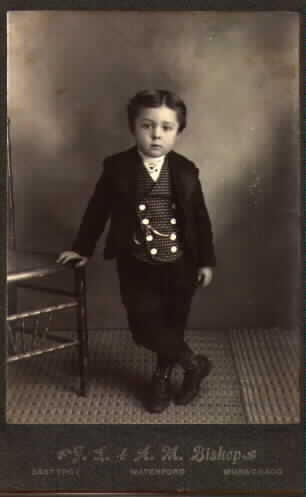 Cabinet card of a well dress young boy. Marked F.L. & A.M. Bishop, East Troy, Waterford, Mukwonago, Milton, Wis. Image 1. 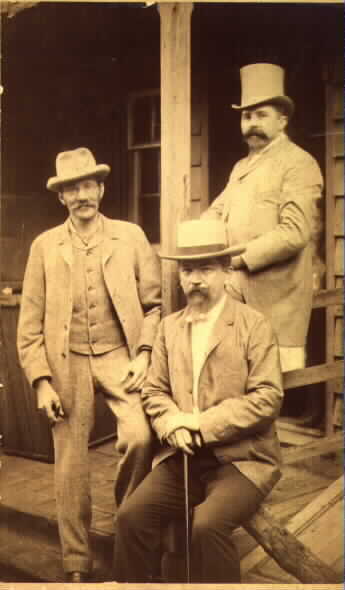 Large photo of three men with different types of hats. Image measures 73/4 inches high by 41/2 inches wide. All of the photographs of African Americans were purchased together. Image 1. 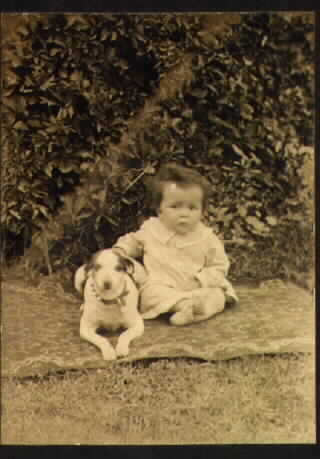 Photo of child (African American with a dog). Image measure 37/8 inches high by 27/8 inches wide and mounted on cardboard. Image 1. 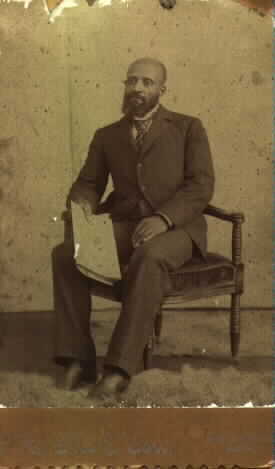 Cabinet card of African American man. Image has some damage around the perimeter. The individual is identified as J.W. Beverly. The name Hattie Beverly is written at the bottom. Marked F.H. Nix and Son, Big Rapids, Mich. Image 1. 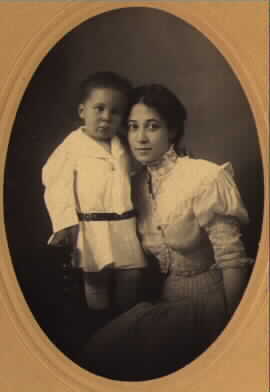 Photo of African American woman holding a white child. Image mounted on cardboard and marked Poisson, 334 S. Div. St, Grand Rapids, Mich. Image 1. 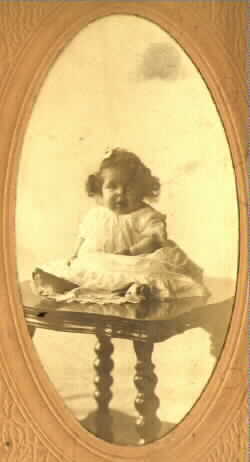 Photo of African American girl child setting on a table. Image mounted on cardboard and marked in pencil Ferdon(sp?) Burgess, 219 Henry ST., Grand Rapids, Mich. Merrit Studio 653 Wealthy Ave. Image 1. 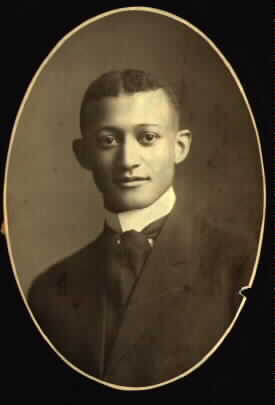 Photo of African American young man mounted on cardboard and marked Bingham and Wood, Colorado Springs. Image 1. Photo of African American girl standing on chair mounted on cardboard and marked Galleth (?sp) Grand Rapids, Mich. Marked on back. Wording to difficult to make out, however dated 1906. Image 1. 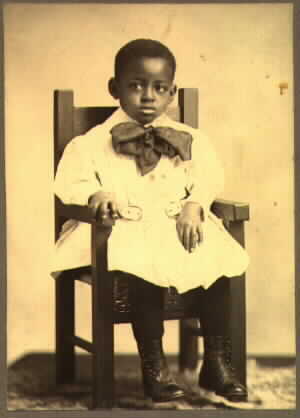 Photo of African American young boy sitting on a mission oak chair. Mounted on cardboard and marked IdealArt, Zanesville, O. On back "To Mrs. Jane Taylor from Thos. W.H.N. Burton". Image 1. 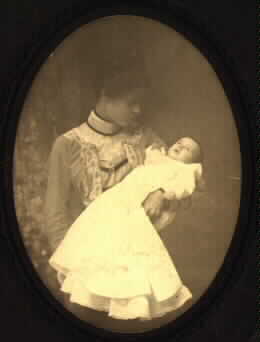 Photo of woman and child. Mounted on cardboard and marked A.G. Newport, 134 W. 4th-Cin.O.